George Walton, alphabetically the last of the Georgia delegation to sign the Declaration of Independence, was born in the county of Prince Edward near Farmville, Virginia. The exact year of his birth is unknown, some research has placed it as early as 1740, others as late as 1749 and 1750, biographer Barthelmas uses this date of 1741. His parents were Robert and Mary Hughes Walton. His Walton grandfather, George, had emigrated to Virginia from England in 1682. The parents were poor, and both had died by the time he was about 12. He was early apprenticed to a carpenter, who being a man of limited education and of selfish and contracted views, not only kept him closely at labor during the day, but refused him the privilege of a candle, by which to read at night. That didn’t deter young Walton’s thirst for knowledge. Possessed with a mind by nature strong in its powers, and though not having enjoyed even the advantages of a good scholastic education, he was ardently bent on expanding his mind, as well as developing the skills of the carpenter with his hands. During the day, at his leisure moments, he would collect lightwood, which served him at night instead of a candle. He persevered, the zeal was impressive; his results were rapid and valuable. Even his master, an ignorant man who had looked at this studious boy with disdain, gradually became impressed, letting him do work on his own and keeping some of the wages. By 1769, though, Walton was ready for a change in his life. 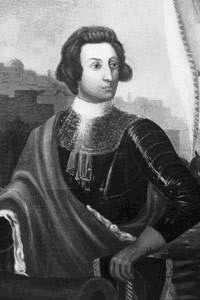 Georgia was the newest and the last of the British colonies, settlement had begun in 1733 with the arrival of James Oglethorpe from England, who brought his first group 114 to start a new and different type of colony under charter from King George II. The original idea was to give the “worthy poor” in English debtor prisons a chance to be converted into farmers, merchants and artisans, but economic considerations voided this idea and only free men with the skills necessary for the colony’s success were chosen, which is not the popular myth of the settlement. To discourage the English class society, strict rules required every man to work his own land: no slavery, no large grants of land, no rum. 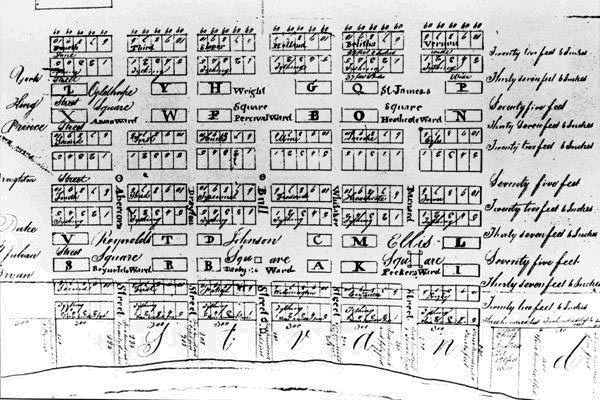 They picked the high bluffs upstream on the river and he laid out his unique design of streets, blocks and public squares for Savannah, which are largely intact today in the historic “old town” of the city. Oglethorpe made friends with the Indian chief and the new colony did well. Most of those social ideals and rules changed when Oglethorpe left for England ten years later. Large scale settlement did not come about until after the end of the French and Indian Wars in 1763, which treaty got the Spanish out of Florida, and now became English territory. With no worries then about the safety of its southern border, the expanded opportunities for development in Georgia brought the new settlers. No doubt that the studious Mr. Walton observed this potential. After the expiration of his apprenticeship, he moved to the province of Georgia in 1769, and entered the office of Henry Young, a barrister in Savannah, with whom he pursued the preparatory studies of the profession of law, and in 1774 at the age of 33,he was admitted to the bar and began a practice of law. He also became a Master Mason in 1774, a member of Solomon’s F and AM, Savannah. During these years the British government had been in the exercise of full power in Georgia. Both the governor and his council were firm supporters of the British ministry. It was at this period that George Walton, and other kindred spirits, assembled a meeting of the friends of liberty, at the Liberty Pole, at Tondee’s tavern in Savannah, to take into consideration the means of preserving the constitutional rights and liberties of the people of Georgia, which were endangered by the then recent acts of the British parliament. Others, also, entered with great warmth and animation into the debate. It was, at length, determined to invite the different parishes of the province, to come into a general union and co-operation with the other provinces of America to secure their constitutional rights and liberties. Thus began the Georgia Provincial Congress, and at this meeting, Mr. Walton took a distinguished part, and was named Secretary of the Congress, and President of the newly formed Council of Safety. But Georgia was either very apathetic about liberty, or timid, for the people at first did not go so far to approve the call to send delegates to the 1st Continental Congress in Philadelphia. It was the only colony not to be represented. Soon after commencing the practice of his profession, Mr. Walton became acquainted with some of the leading patriots in that Province, among whom was Dr. Lyman Hall who lived in the nearby Parish of St. John. His law tutor was an ardent patriot also, and these influences, combined with his own natural bias, made him espouse the republican cause with hearty zeal. He labored to have the whole Province take the road toward freedom which the Parish of St. John had chosen, but it was slow going. At length, the fruits of the tireless work of Walton and others began to appear, and in the winter of 1776, the Georgia Assembly declared for the patriot cause, and in February appointed delegates to the 2nd Continental Congress. Of these delegates, Mr. Walton was one! The royal governor was incensed at this treasonable act of the Assembly, and threatened the use of military force against them. But they utterly disregarded his authority, organized a new government, and named Archibald Bulloch President of its Executive Council, effectively the role of first elected Governor of the Province. Walton left Savannah to attend the Congress, and was in favor of the proposition for independence, using all of his influence to bring about that result. He voted for, and signed the parchment of, the Declaration of Independence, and the fortune and honor he there pledged were freely devoted to its support. In the following month of October, he was re-elected. From this time, until almost the close of 1778, he continued to represent the state of Georgia at the seat of the continental government, where he displayed much zeal and intelligence, in the discharge of the various duties which were assigned him. He was particularly useful on a committee, of which Robert Morris and George Clymer were his associates, appointed to transact important continental business in Philadelphia, during the time that congress was obliged to move from that city. In December, 1778, Mr. Walton received a colonel’s commission in the militia, and was present at the surrender of Savannah to the British arms. During the obstinate defense of that city, Colonel Walton was wounded in the thigh, in consequence of which he fell from his horse, and was made a prisoner by the British troops, but was soon afterward exchanged, in September, 1779. In the following month, Colonel Walton was appointed Governor of Georgia by the state legislature; but he resigned that post in January, 1780, as he was elected a member of Congress for two more years. But it was also in this period that he was involved in a matter for which he was censured by the legislature in 1783. George Walton had earlier been the leader of opposition to Button Gwinnett, and a friend of General Lachlan McIntosh, whose dispute with Gwinnett had led to the fatal duel. It seems Walton had sent a forged letter to Congress which brought about the incident with McIntosh, where McIntosh was removed from his military command, blaming Gwinnett. After the official censure, Captain William McIntosh, son of the general, was enraged, and there is an account of the horse-whipping of Walton by William McIntosh in Collections of the Georgia Historical Society, Vol XII. Capt. McIntosh was tried before a general courts- martial in 1783. Walton was appointed Chief Justice of the state in 1783, and he held that position until his death. In that same year, he was named Commissioner to negotiate a treaty with the Cherokees in Tennessee. 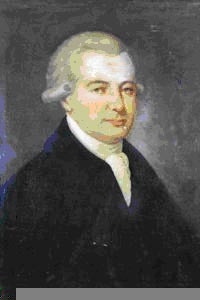 In 1789 he served as a Presidential elector, and again elected Governor, during which term a new state constitution was adopted, the state capital moved to Augusta, and the Creek Indians were pacified! In 1798, he was elected to the United States Senate where he remained one year and then retired to private life, except for his duties upon the bench. In addition to his role as a patriot leader of his country and a political leader in the development of his state, George Walton took an active part in transforming his town of Augusta from a country outpost to the state capital. He had moved there after his release as a British prisoner in 1789. Walton helped set up a constitutional government, and, perhaps inspired by Philadelphia and the Oglethorpe design in Savannah, he pushed for Augusta to adopt a checkerboard pattern of lots and expand the original layout by including the construction of a jail, a courthouse, and a school. Education was never far from his interests, he was a founder and hired the first headmaster for Richmond Academy, and saw that the hill of 250 acres above the town was reserved for a college. He then pushed for the state to move Franklin College (which became the University of Georgia) to that Augusta site, but lost in that effort, to Athens. Today, though, the site is occupied by Augusta College. He was right, however, about the flood of settlers coming to Augusta. 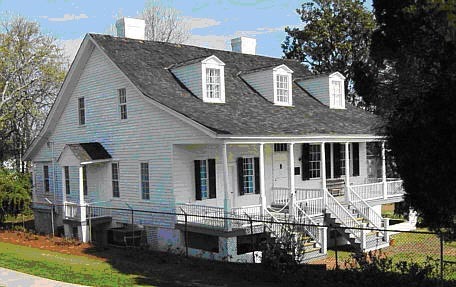 The Revolutionary War was the catalyst, and by 1790, there were as many people in Richmond and Wilkes counties surrounding Augusta as there were in the rest of Georgia. "Meadow Gardens," the Walton home in Augusta, GA. The public service life of Mr. Walton was filled up in the discharge of the most respectable offices within the gift of the state. In what manner he was appreciated by the people of Georgia, may be learned from the fact that he was at six different times elected a representative to congress; twice appointed governor of the state; once a senator of the United States; at four different periods a judge of the superior courts and its chief justice, which last office he held for fifteen years, and until the time of his death. Truly, the Latin phrase ut prosim (that I may serve) was his guiding principle. It may be gathered from the preceding that George Walton was no ordinary man. He rode into distinction by the force of his native powers. He was described as being of small stature, handsome and appearing haughty, dignified and stern; he had a violent temper but was warm in his friendships; he was also known as a politician who kept his promises. In his temperament he was ardent, and by means of his enthusiasm in the great cause of liberty, rose to higher eminence, and secured a greater share of public favor and confidence, than he would otherwise have done. Mr. Walton was not without his faults and weaknesses. He was accused of a degree of pedantry, and sometimes indulged his satirical powers beyond the strict rules of propriety. He was perhaps, also, too contemptuous of public opinion, especially when that opinion varied from his own. On balance, however, it can reasonably be concluded that the orphaned carpenter’s apprentice became the most exalted citizen of the Commonwealth in which he resided. The death of Mr. Walton occurred on the second day of February, 1804. He was buried in Rosney Cemetery in Augusta, but upon completion of the large stone obelisk memorial to the three Georgia Signers in Augusta, dedicated on July 4, 1848, he was re-interred to eternal rest there. During the latter years of his life, he suffered intensely from frequent and long continued attacks of the gout, which probably tended to undermine his constitution, and to hasten the event of his passing. George Walton married Dorothy Camber in Savannah in September 1778, and she lived on to 1832,and died in Pensacola, FL. They had two sons, Thomas Camber born 1782 and died unmarried before his father, in 1803. George Walton, Jr., was born in 1787. He was a great comfort to his father in his last years, and he married in 1809, with issue surviving his death in Mobile, AL in 1861. The line of descendants ran out, however, with the Signer’s great-great grandson, George Walton Reab, who died unmarried and without issue on March 6, 1925, and is buried in Walker Cemetery on the campus of Augusta College. There are now no living direct descendants of this Signer. He lives on, however in diverse ways. Walton County, bordering Gwinnett in north Georgia was named for him. There is a prominent street in Augusta which bears his name, and there is the impressive Georgia State Memorial to the three signers, where he is buried in Augusta. His home there was called Meadow Gardens and built on 200 acres in Augusta; today, the house is a museum owned and operated by the Georgia Society, DAR, just off 13th Street. His bust, and that of the other two Signers, was placed in the Georgia Hall of Fame when it opened in 1955. There are George Walton Academies in at least two cities in Georgia, Monroe and Athens; and in Marietta there is George Walton Comprehensive High School, a large charter public school producing students with some of the highest academic records in the state, indeed it was cited a few years ago in U.S. News and World Report as one the six “Outstanding American High Schools”. Perhaps this one is the most fitting remembrance today of the once zealous student with the inquiring mind and an ardent thirst for knowledge. George Walton Comprehensive High School.